Located in the center of Shanghai in the People's Square, the museum's eleven galleries include 120,000 pieces of bronzes, ceramics, calligraphy, furniture, jade, ancient coins, seals and more. Beautiful, clean museum. Can easily spend 1-2 hours here. The fountains outside are also very beautiful. Fascinating look at ancient Chinese culture. Fascinating look at ancient Chinese culture. Not enough time. Well done, so much history. 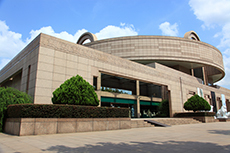 This is a comprehensive museum of Chinese culture with many interesting exhibits. What an outstanding museum! Truly enjoyed all the displays - sculpture, costume, furniture, bronzes and more. Well worth the visit. Absolutely wonderful! Need several visits to take it all in. Have no interest in museums. Have no interest in museums. My wife went and liked it, but mostly because the kids inside were cute. Enjoy the long entry lines. So much of ancient China&apos;s art has been destroyed, but this is a good museum. Very interesting place. Loved walking around on our own and choosing what we wanted to see. We had plenty of time at a relaxed pace. So much to see here. Wish we&apos;d had more time. Instruments, masks, jade and ancient metal pieces, much more. An excellent museum to visit in Shanghai. The Shanghai Museum was fantastic - we only wish that we had more time there. The Shanghai Museum was fantastic - we only wish that we had more time there. We purchased the museum guide on Amazon after our return because we did not have time or it was not open when we were there.